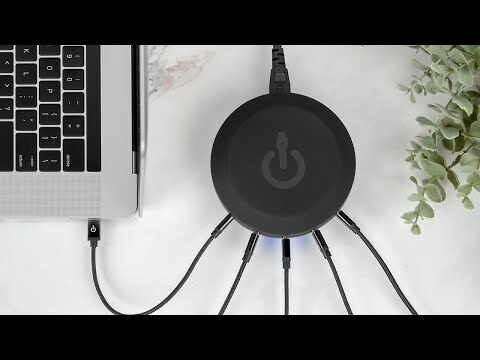 The ChargeHub X5 Elite Series can charge up to five USB devices simultaneously and even has optional Qi Wireless so you can charge a sixth device. 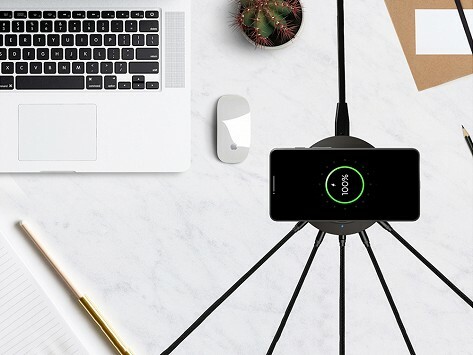 The unique technology allows for a powerful charge to be delivered to multiple devices all while using only one outlet. As a result, this creates a neat and organized space and eliminates excess cables, multiple outlet usage, and clunky power strips. Dimensions: 4.5" x 4.5" x 2"